I think Diwali maybe one of my favourite celebrations. With Diwali I get all the fun of Christmas but without (for me, at least) weeks of cooking and present-buying. 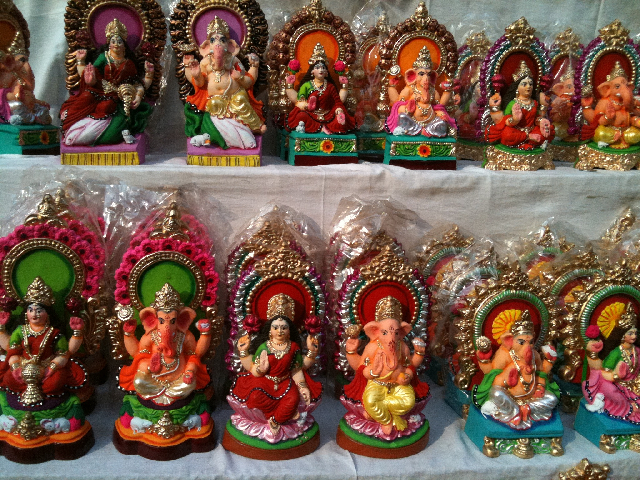 The past few days I’ve wandered around the Diwali displays in Khan and INA Markets, picked up beautiful candles to tuck away for Christmas, bought boxes of sweets and generally gawped at the wonderful colours, bustle and excitement without having to worry about hordes of family and friends descending and needing to be fed. The perfect vicarious celebration. 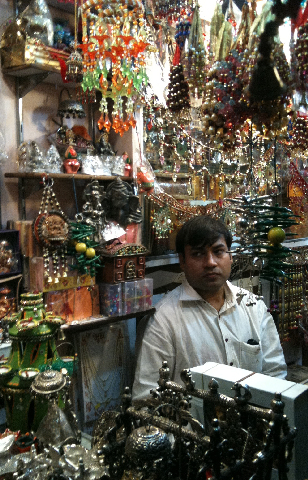 I even managed two impromptu trips into Old Delhi this week. The first was when Dean and I were overcome by cravings for Ashok and Ashok’s mutton korma and made a quick lunchtime dash. 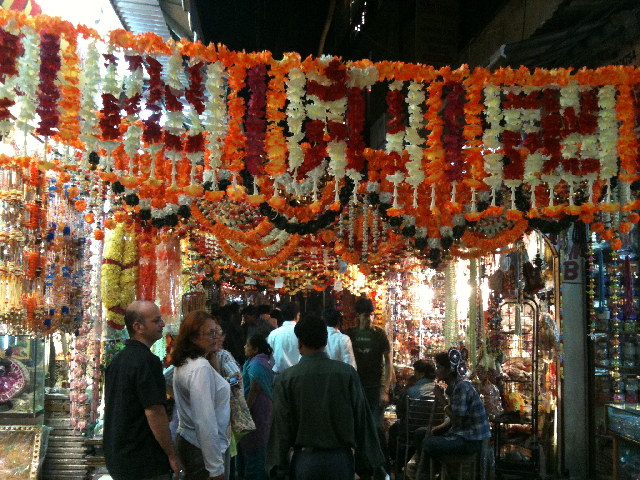 I’d never seen Old Delhi at Diwali time and it was stunning, the markets overflowing with decorations, idols, marigolds and festive food. 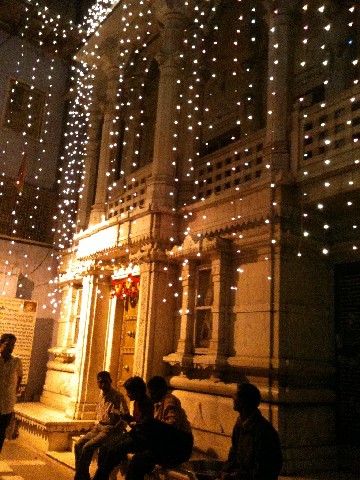 Then last night, on the eve of Diwali, we went back with a few friends to soak up the ‘festival of lights’ Old City-style and grab a few snacks. We weren’t diasppointed. 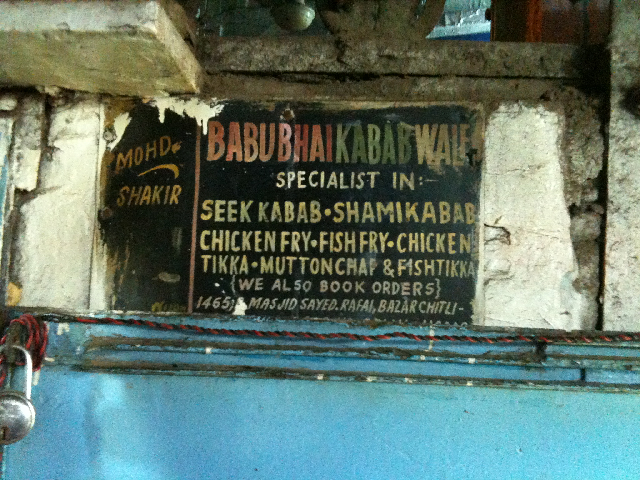 We stopped for fried potatoes and aloo tikki, chicken korma, jalebis, kebabs and shahi tukra. As we made our way through the carnival atmosphere of Sitaram Bazaar and Kinari Bazaar, marvelling at the inricate sugar sculptures, and giant barrels of roller ice cream, our American friend Halle was beaming and shouting “I love this country”. Me too. Happy Diwali! 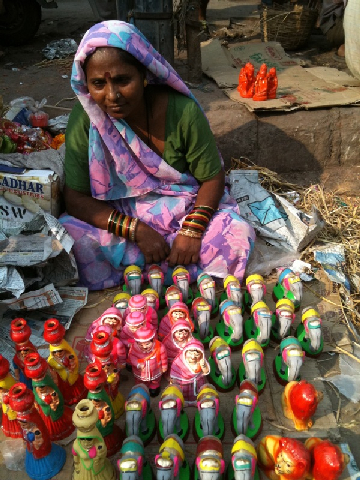 Happy Diwali- marketed well, potentially it could be a tourism bonanza for India. Thanks Prashant – the other thing I love about Diwali is that unlike Christmas in London, the build up doesn’t start in August! 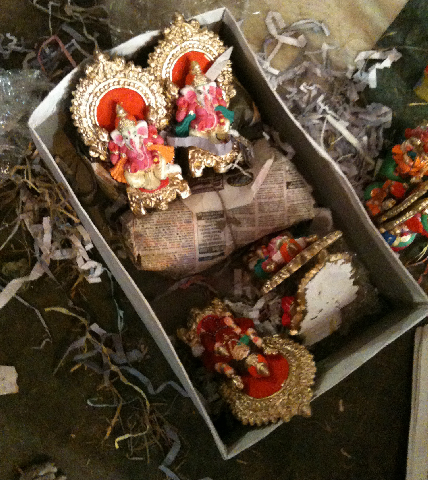 Vishal – Not sure we need an influx of tourists at Diwali – it’s already mayhem! I’m coming next year! Fireworks night here was such a wash out last night, torrential rain, the horrible wet kind all night. A very Happy Diwali Pamela. Love the post and the photos they totally exude what festivities symbolise. Brilliant! When you wait wait wait for the real festival, there’s more anticipation and all the celebration is concentrated into a few days rather than spread so thinly across months! Actually our neighbourhood fireworks were rather magnificent despite the rain! But I have to say I’m almost regretting finally signing up to your fantastic blog Pam, I’m thinking forget visiting our aging relatives in Oz, India here we come!! 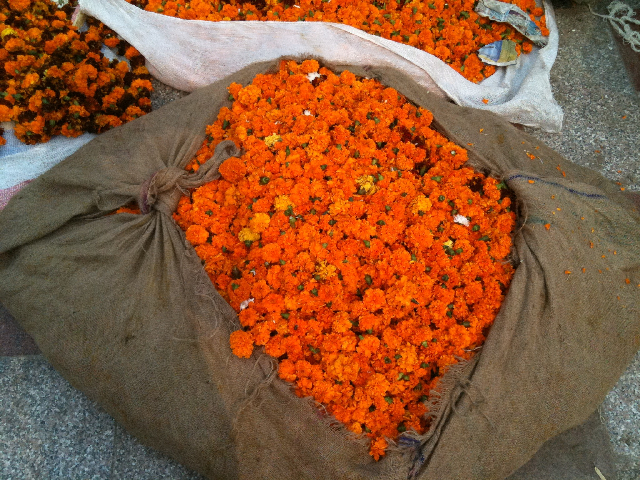 P.S What are the flowers pictured, are they Calendula (Marigolds)? Magnificent! 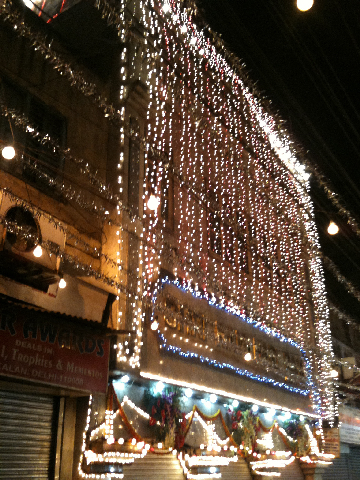 Had a great Diwali with lot of local Awadhi as well Lucknowi specialities, but still need to plan a trip to Ashok & Ashok! Hi Becc – you definitely have to come!